My attempt to convert a RiftRoamers RPG (RR) original starship to Traveller. 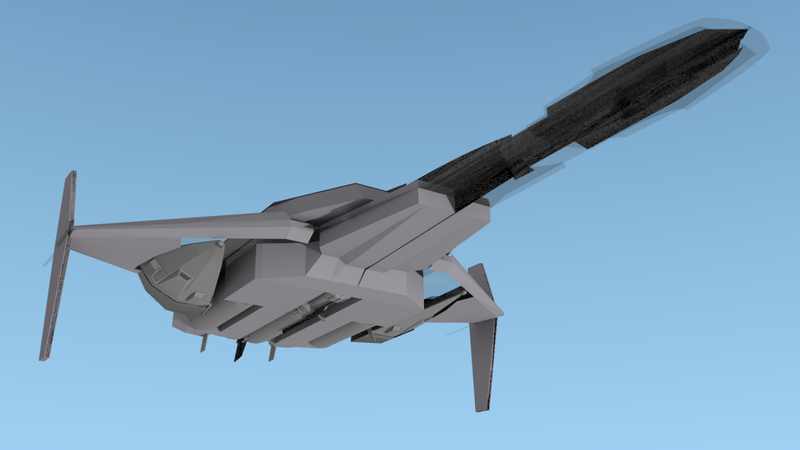 The craft was downsized as ships in RR tend to be larger in general. The appropriate size would have been 1200 tons in RR. However that would have been just another Kinunir which was not my intention. The 800 ton Streamlined Yamal Class Merc Cruiser is a variant of the Broadsword built as an alternative to the Broadsword Merc Cruiser. 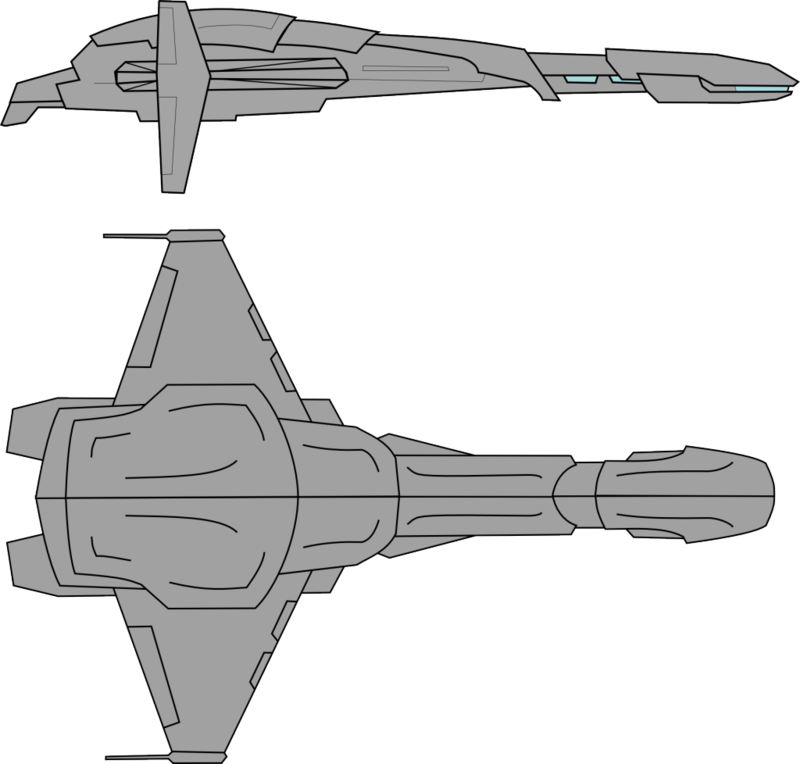 It’s outer appearance loosely copies the lines of patrol corvette, while being larger of course. Design requirements: 1 Modular Cutter (in an external cradle mount accessible through the cargo bay), 2 additional Cutter modules (in an external cradle mount accessible through the cargo bay), 2 20dt Gigs (in an external cradle mount accessible by special connection tubes), 2 Grav carriers (Lopec or Resolve carried aboard cutter modules, these craft show as overtonnage in the design). The design now features Maneuver 3, Jump 3, 3 Month of Powerplant operation and offers 95 tons of cargo space in addition to all the vehicles. 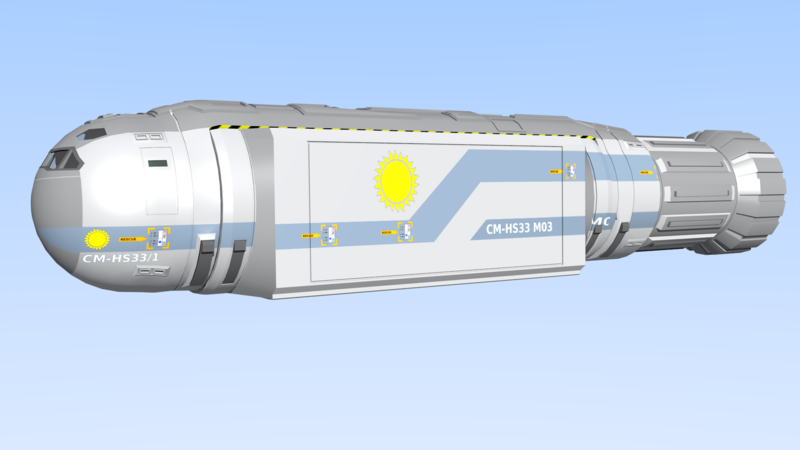 The Image below show the vessels’s Cutter and one of the thre special Container Modules. Click on the link below to continue with the stats and later with the deck plans too. Rescued article from old website. Unfortunately the second page is currently not available. It will return though.